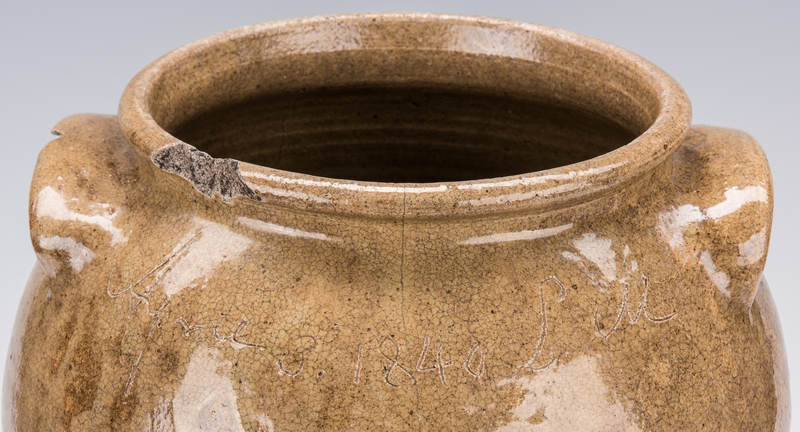 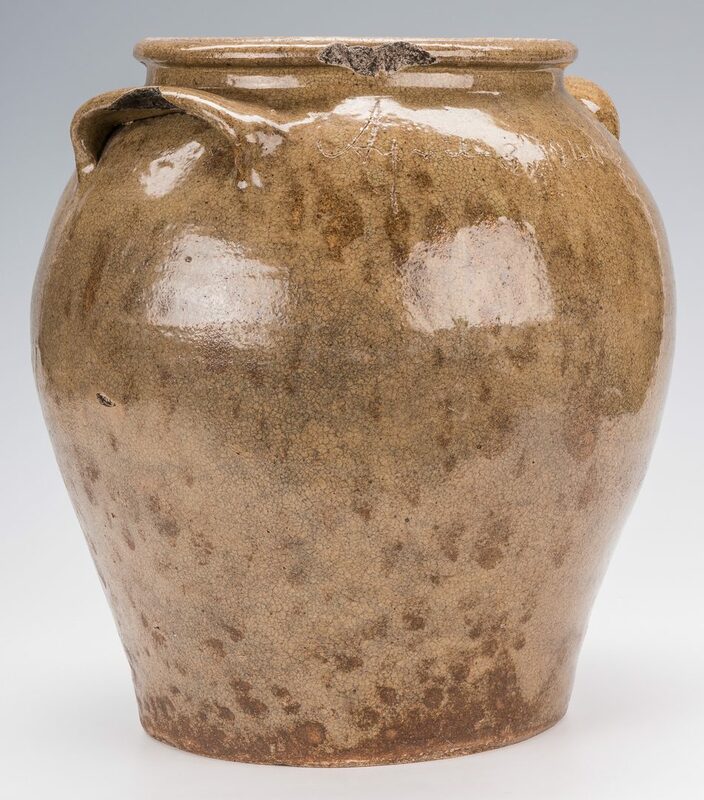 Attributed to David "Dave" Drake, an early dated alkaline-glazed stoneware jar, incised across the front shoulder "April 3, 1840 LM" for Lewis Miles' Stony Bluff Manufactory, Edgefield District, South Carolina; the reverse side with two incised slash marks. 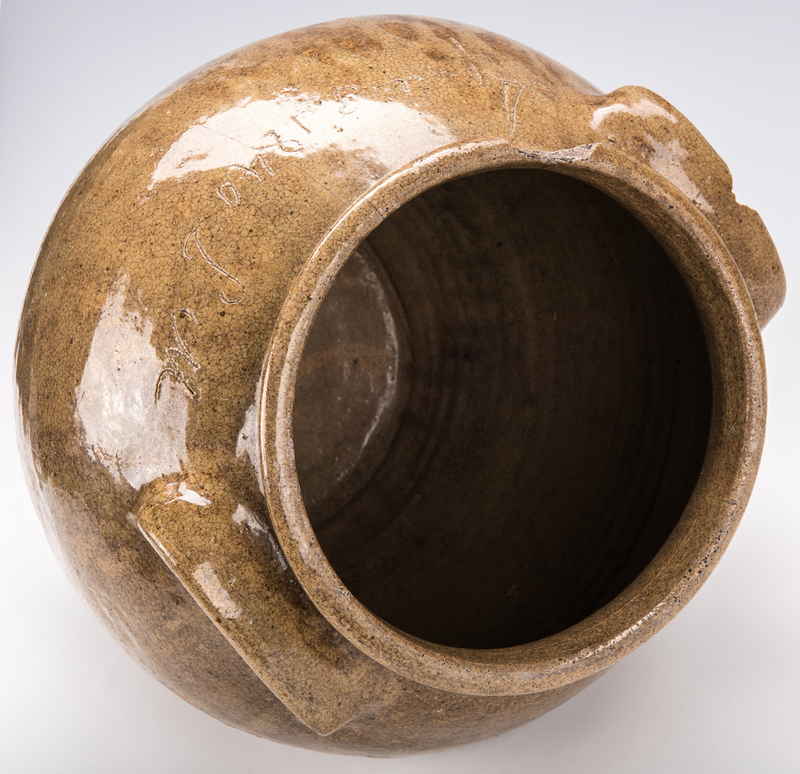 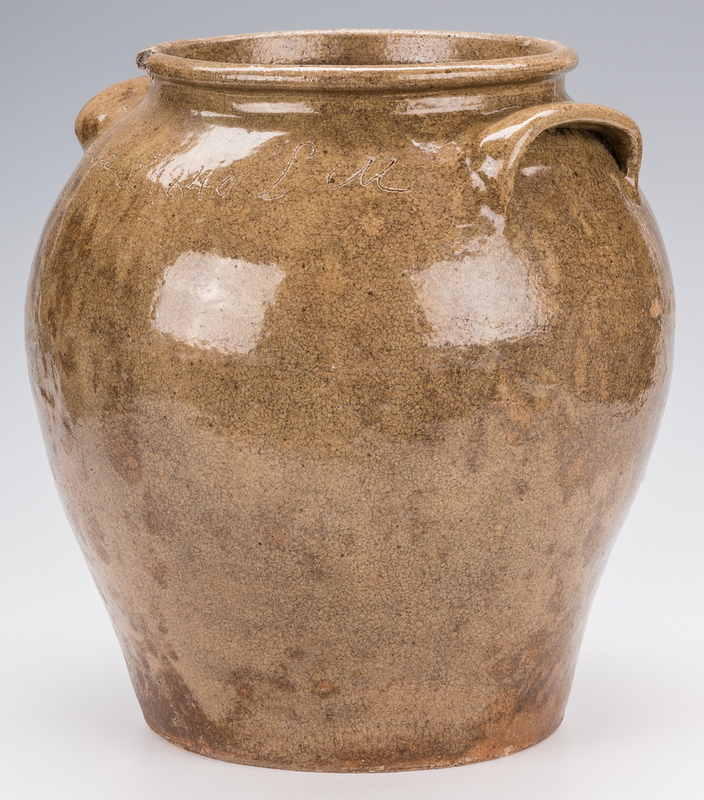 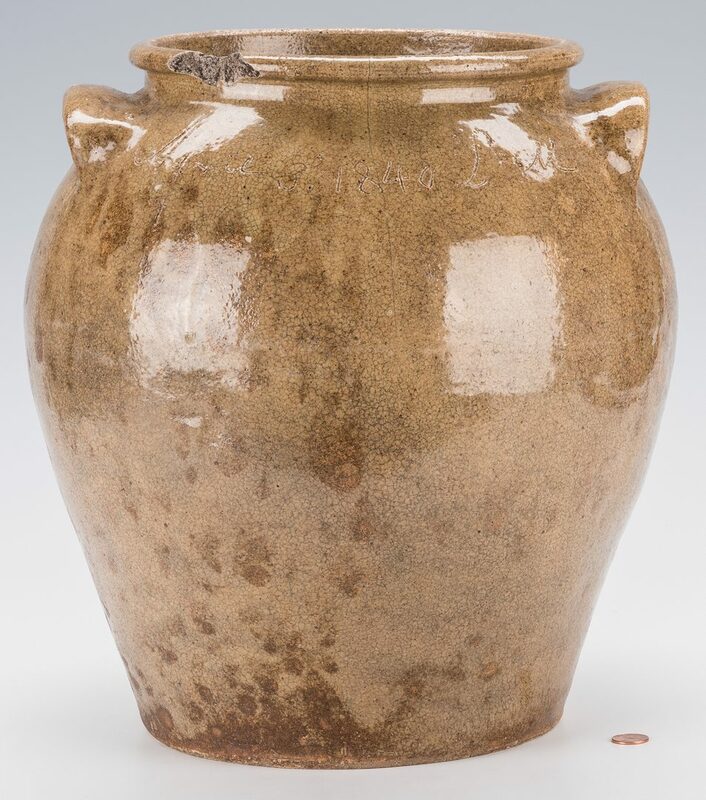 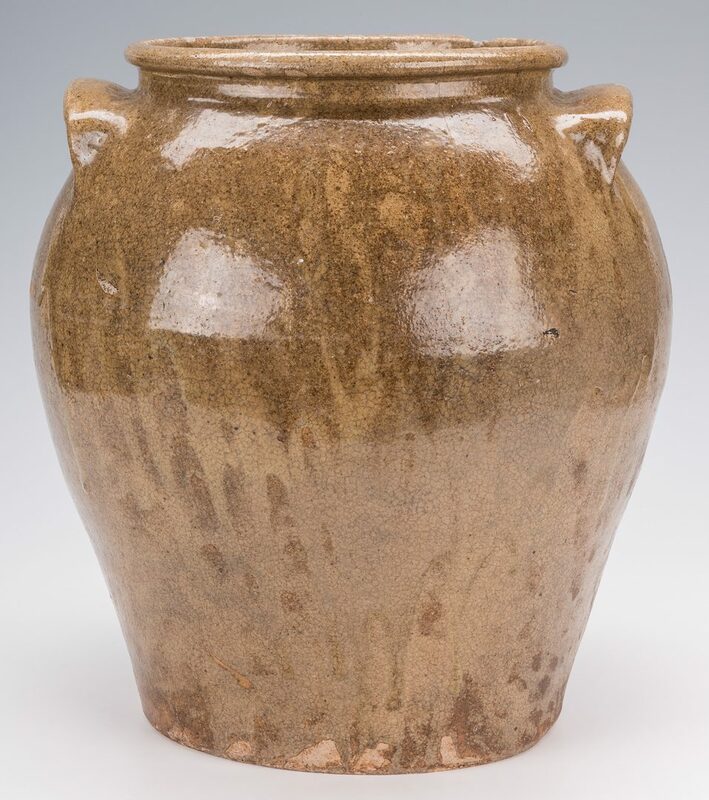 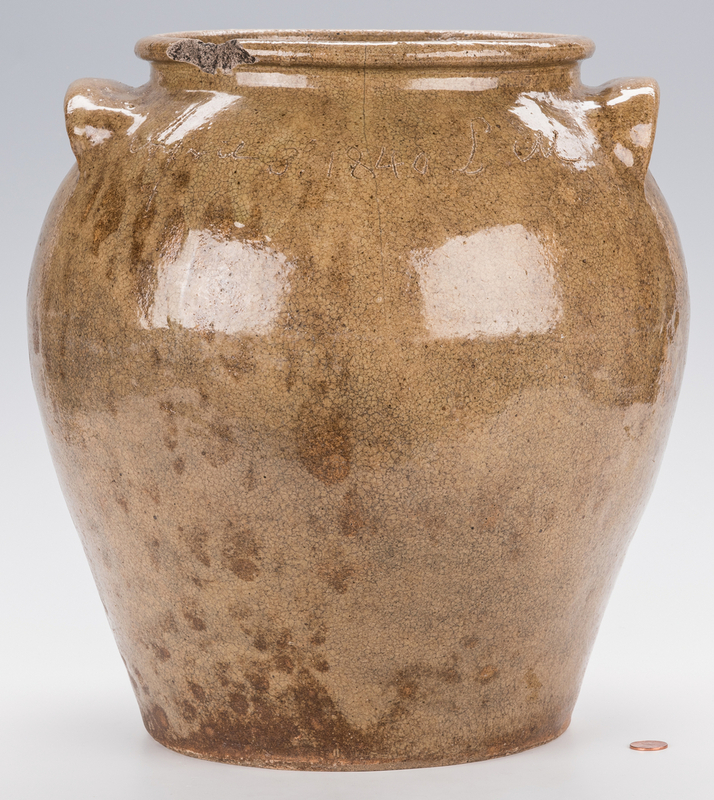 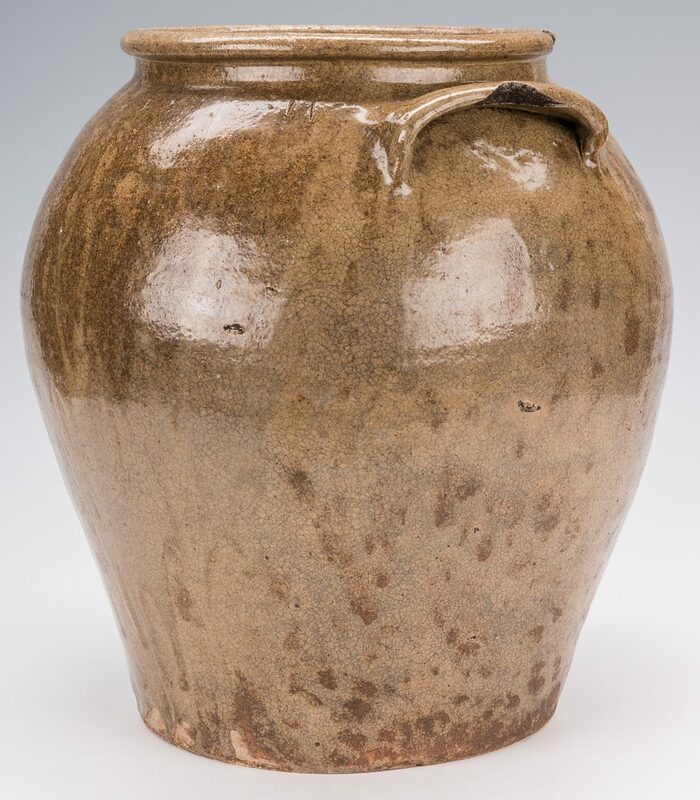 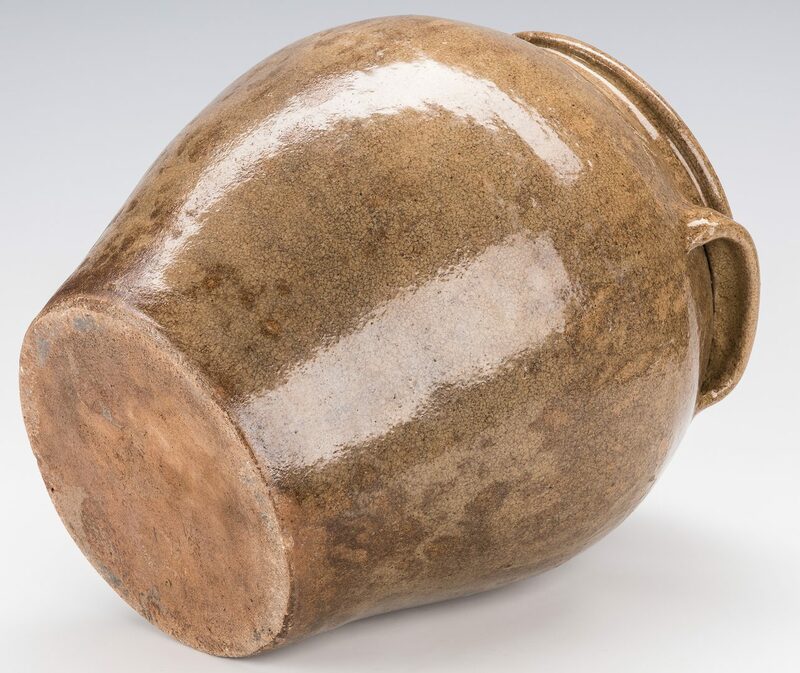 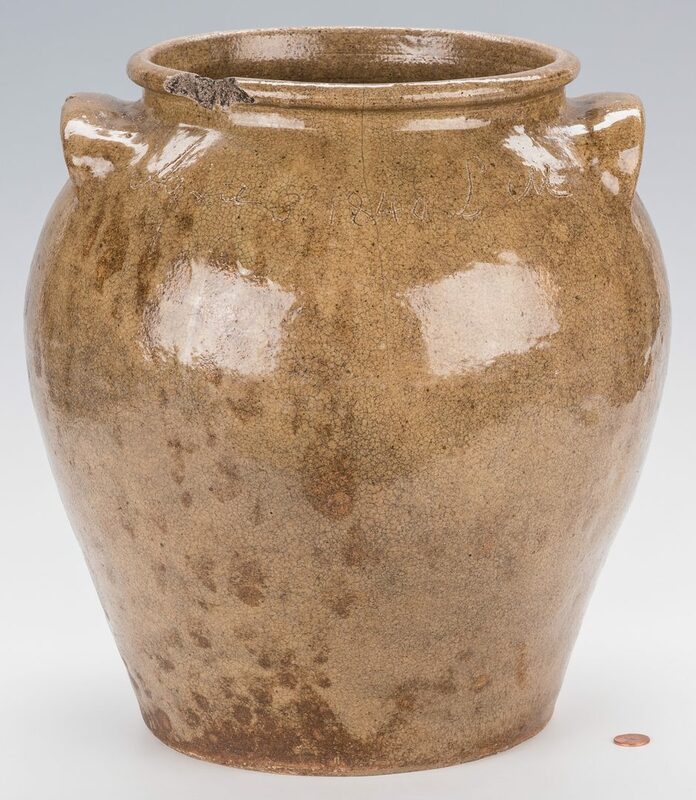 Ovoid jar with flared rim and lug handles, approximately 5-6 gallons in capacity. 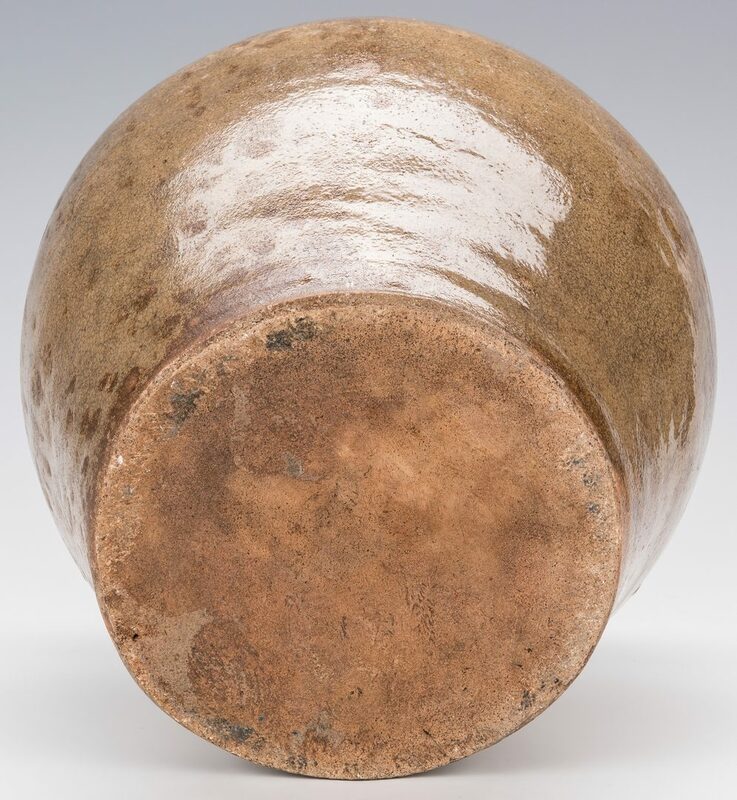 13 1/2" H x 12 1/4" diameter at widest part. 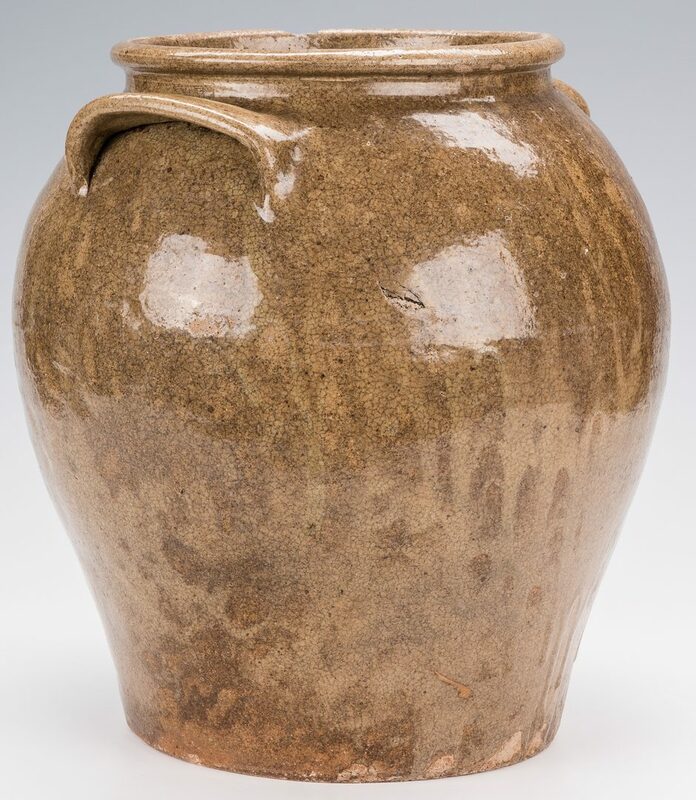 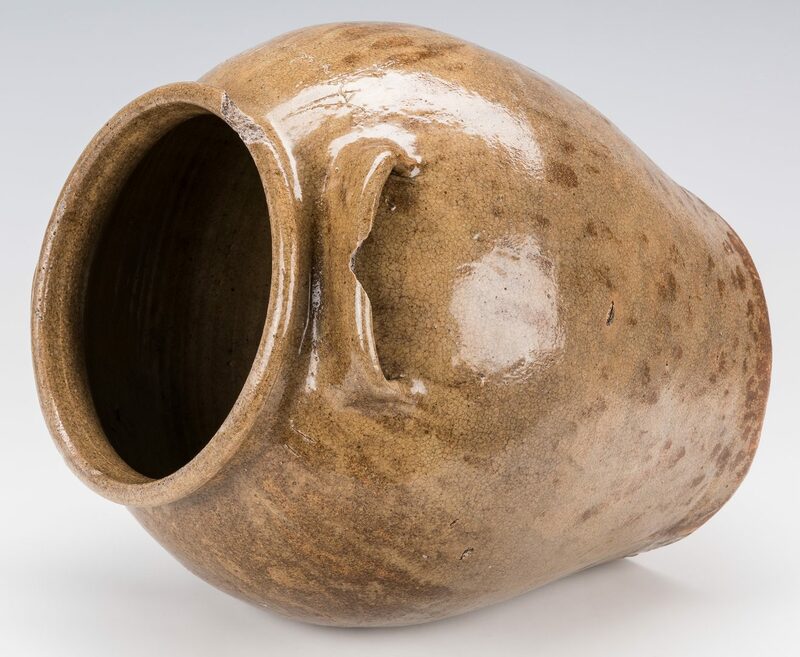 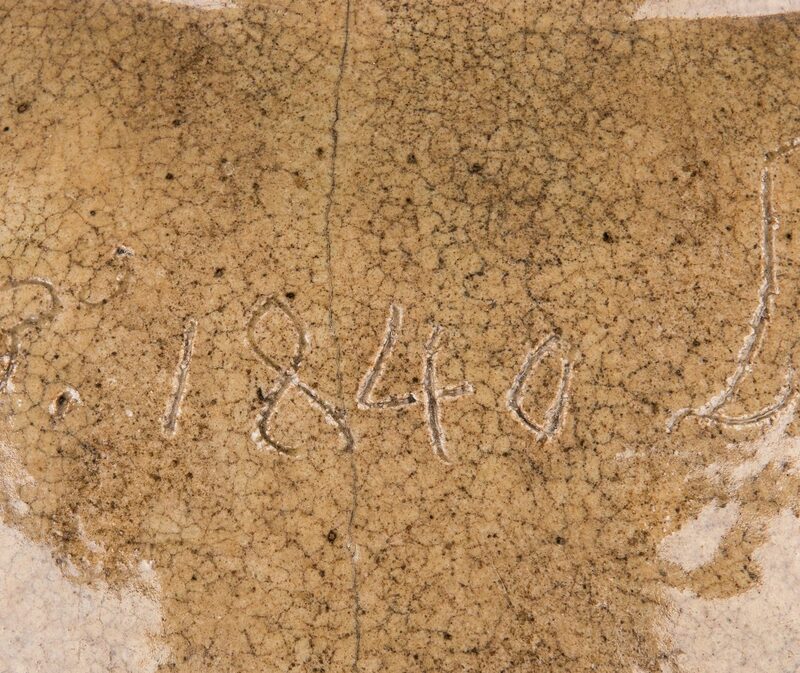 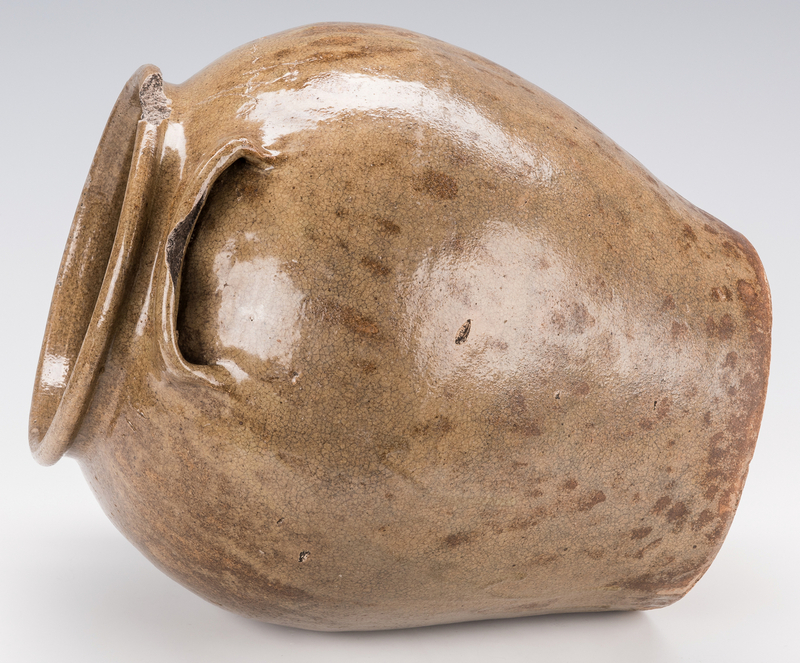 A typical form employed by the enslaved but literate African-American potter David Drake and one of his earliest pieces to surface, dating from the first year in which he was owned by Lewis Miles (1840-1843). 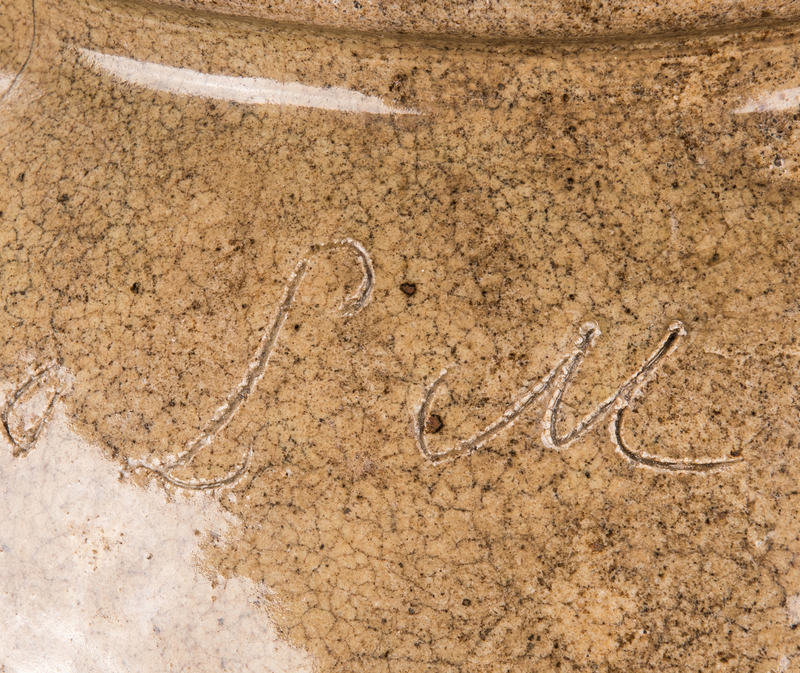 Provenance: Estate of Lorraine Griffin of Moultrie, GA; descended through her family. CONDITION: Old 2" chip to rim and 1" chip to underside of one handle. 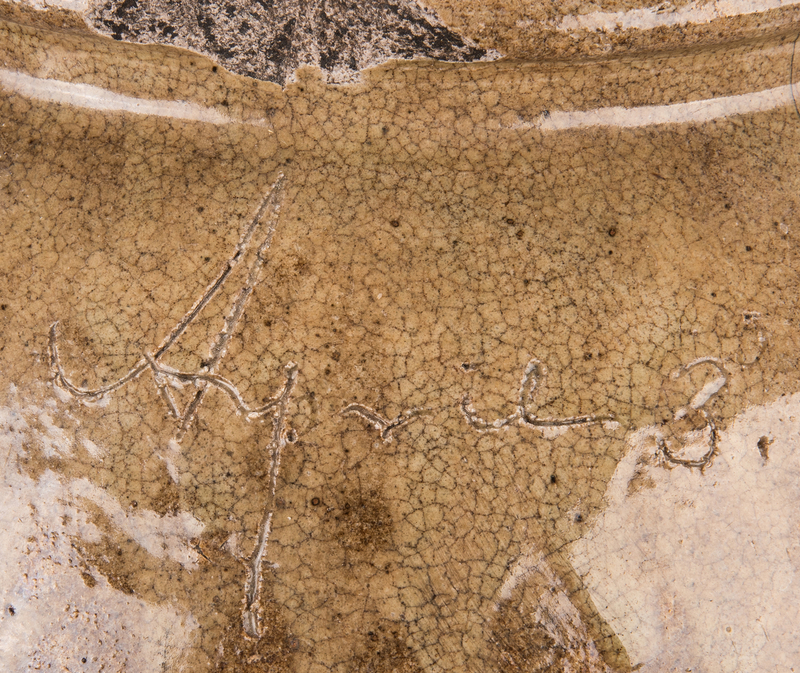 Tight 6" hairline extending from rim through date inscription. 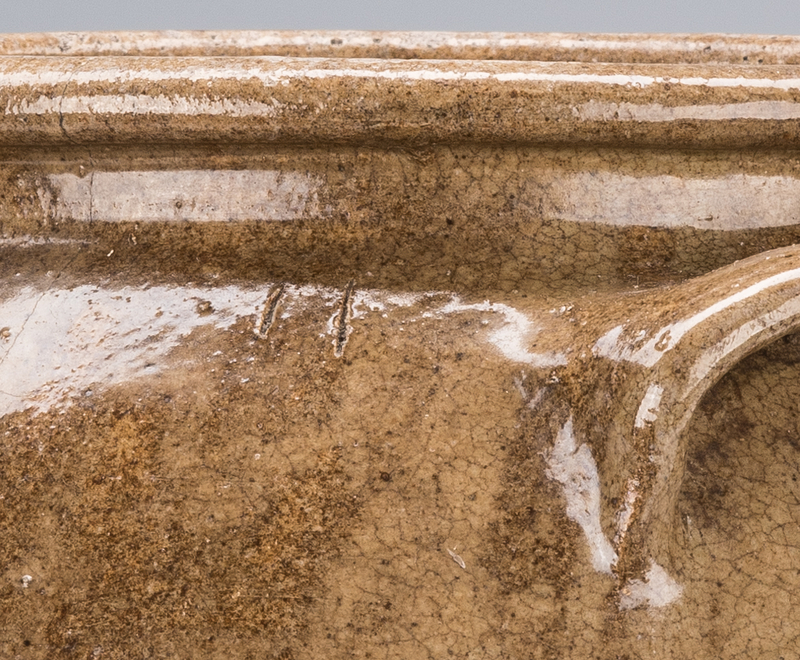 2 1/4" hairline to rim on other side. 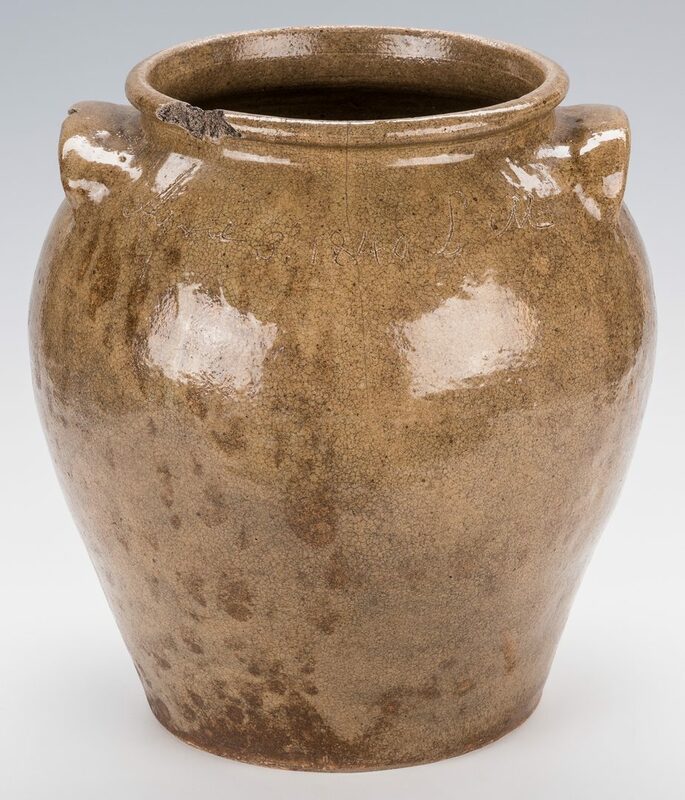 Overall crazing to glaze; a few scattered chips, abrasions and/or firing flaws to sides, up to 1" diameter.